Securus Technologies is going to great lengths to improve correctional facility security. The company has developed a new technology to stop contraband cell phone usage. This is a major development as these devices are noted as a top danger in jails and prisons. Many crimes have resulted due to phones not being detected or confiscated. Known as a Wireless Containment System, the devices look and act just like a regular cell tower. The main difference is that they create their own network within the facilities. Users of the contraband wireless devices believe they still are connected to their regular service provider; however, the Wireless Containment System prevents overrides the network and prevents any calls. The user is notified via a recording that the call has been disconnected. The project is still in its initial testing phase. The results that have been achieved thus far are impressive. Nearly two million attempted communications have been thwarted. The project has faced challenges by the FCC. The concern was that other signals were potentially being scrambled, which is illegal according to current regulations. Securus Technologies has proven that the technology is fully compliant. Strong supporters of the technology have been petitioning to have the devices required in all facilities, by law. Among these supporters is Robert Johnson. Serving as a corrections officer himself, Johnson experienced firsthand the dangers of illegal devices. His position required that he gather any contraband in the prison and confiscate it. He seized a package with a high monetary value and was retaliated against by the prison gang it belonged to. Due to a contraband phone being available, a former inmate was able to find his home. Johnson was shot six times in his home; however, he was able to protect his wife from being injured. Barely escaping the incident alive, Johnson made it his goal to stop the violence. Ever since the tragic event, Johnson has been working with Securus Technologies as a consultant on the project. Securus Technologies is a company with over 30 years’ experience in correctional facility management. The company is best known for providing communications services to inmates and their loved ones. The company has other popular products like video visitation and messaging, which are designed to provide more affordable alternatives. Securus Technologies also provides monitoring services and software packages to the institutions, themselves. The company has experienced major growth over the years and has acquired numerous other companies in the process. Among the most recent acquisitions are JPay and GovPayNet. Both companies are experienced in financial services and have a great deal of experience in corrections. With all the recent developments, Securus Technologies clearly takes pride in serving its customers and keeping everyone safe and sound. Duda Melzer is the founder and owner of RBS Group. RBS Group is a massive oil company in Brazil. He started the company many years ago. After working in the oil industry for numerous years, he wanted to own an oil company. RBS Group focuses on oil drilling. Brazil has some of the largest oil reserves in the world. Oil drilling technology has improved drastically in recent years. With better technology, companies can quickly increase oil production for customers. Duda Melzer worked in an oil field for many years. His job was difficult, but he earned a substantial income. He saved most of the money that he earned. With his savings, he started RBS Group. RBS Group is a successful company with a strong balance sheet. Duda Melzer Founder has several plans for growth in the future. Some people in the oil industry speculate that RBS Group will purchase a smaller company. Obsidian Energy’s oil fields are located in Alberta, along the Western Canadian Sedimentary Basin. This region is one of the world’s largest petroleum reserves. The oil industry is booming in Canada. Many companies in the oil industry have high sales and profits. Obsidian Energy is an oil company that focuses on drilling for oil. Over the past few years, the company has expanded in various ways. Obsidian Energy is developing several products and services for the solar energy industry. Solar energy is an excellent opportunity for the company to increase sales and profits in future. Many customers in Canada want more access to solar power. Even though solar power is more expensive than traditional energy sources, the costs have decreased dramatically over the past several years. Drilling for oil is a long and arduous process. Oil drilling companies take on numerous financial risks. Companies must purchase land to drill on, and the company must also buy the drilling equipment. When starting out, most oil drilling companies have high levels of debt. When the cost of oil is high, drilling companies make a substantial profit. The price of oil crashed in 2016. Many oil drilling companies went out of business. Obsidian Energy was able to prosper during this time for several reasons. The company has a strong balance sheet with limited debt. Obsidian Energy also has revenue sources outside of drilling for oil. Solar power is an excellent opportunity for energy companies. There are multiple ways for companies to increase sales from solar power. Customers must purchase solar panels to harvest solar energy from the sun. Over time, these panels need maintenance. Few people have experience fixing solar panels. Obsidian Energy offers various maintenance services in the local area. Visit This Page for related information. Obsidian Energy is one of the leading energy companies in Canada. The company is excited about various opportunities for growth in the years ahead. The leaders of Obsidian Energy have done a great job managing the company. 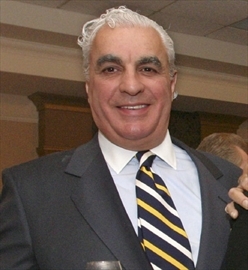 Gregory James Aziz, a Canadian businessman, is CEO and chairman of National Steel Car, the foremost manufacturer of all types of rail transport. Commonly known as James or Greg Aziz, he was born on 30th April, 1949 in London, Ontario. He is an alumnus of Ridley College and Western University, Ontario, where he specialized in Economics. In 1971, Greg, now an economist, joined his family’s wholesale food franchise, Affiliate Foods. A leading company of wholesale food franchises, which evolved into a global fresh foods importer. After a stint in his family business Greg proceeded to the banking sector. Where he worked for several investment banks from late 80’s to early 90’s. Eventually, this job led him to National Steel Car in 1994. When purchasing it from Dofasco he aspired to transform it into a premier railroad freight car manufacturer. Steel Car was a prominent name in Canada since its inception. However, by implementing innovative strategies Gregory J Aziz reinvented it into the largest rolling stock manufacturer of North America. National Steel Car always had highly developed engineering capabilities. Hence, addition of capital and human investment allowed it to further increase manufacturing. Subsequently, in just 5 years manufacturing capacity skyrocketed from 3500 cars to 12,000 cars owing to quick transformative efforts delivered by strong teams. During this time, employee count went from about 600 to 3000 individuals. Under the leadship of Greg James Aziz, National Steel Car hasn’t just significantly increased ROI, but also contributes to society through unrelenting participation in various philanthropic activities. It is dedicated to the Hamilton Community, therefore sponsored Hamilton Opera, Theatre Aquarius, The Salvation Army, United Way and several other local charities. Employees and their families, inspired by Greg proactively participate in National Steel Car Christmas Party. They come together to organize a large scale food drive. This food is then donated to local food banks. Gregory J Aziz, his wife Irene and their daughters, Karina and Natalie are renowned for supporting the equestrian community and participating in equestrian sports. Additionally, they sponsor ‘Royal Agriculture Winter Fair’, Canada’s largest agricultural fair. Hussain Sajwani born in the UAE in 1956, attended the University of Washington earning a degree in economy and industrial engineering. Later returning to UAE he worked for GASCO, associated with Abu Dhabi National Oil Company, as a contracts manager. This position was short lived, Sajwani left GASCO and founded his own company. Hussain Sajwani created DAMAC Group, a company that operates businesses in multiple industries. These industries include food catering, hospitality services, investing, and real estate development. The food catering portion of this group was where Sajwani started. DAMAC Group was honored with a plaque, given by the United States Army, for being one of the main food suppliers to U.S. troops during Desert Storm. Hussain Sajwani founded DAMAC Properties in 2002. DAMAC Properties is located in Dubai, UAE and has been a front runner in luxury real estate development since 2002. DAMAC Properties has already delivered over 20,300 homes and currently has an additional 24,000 properties underway. This includes 13,000 hotel rooms. DAMAC Properties strives to provide dream homes to people all over the world. DAMAC Properties recently developed an 18 hole golf course in Dubai and the course is managed by Trump Organization. The exquisite 18 hold golf course holds the name Trump International Golf Course. Hussain Sajwani is comforted by the way the Trump family handles its business affairs and protects their brand. Sajwani commented on how he likes doing business with the Trumps. Chairman and CEO of DAMAC, Hussain Sajwani, not only passionately operates a group of successful companies, but also is an active humanitarian, and philanthropist. Sajwani is involved with a Charity movement based out of Dubai that clothes disadvantaged children. Sajwani has already donated AED 2 million to this cause, in addition, he donates and gives to a multitude of other charity groups and those in need. If you need fuel for your home or business, it is always a good idea for you to get this through a company that you can trust. You will find that this helps tremendously and provides you with fuels that you need to run your home. The reason a lot of people have chosen Obsidian Energy, formerly known as Penn West Petroleum, is because of the quality of the fuel being used. You are going to find that this helps a lot and gives you exactly what you need to get your home or business running to the best of its ability. The Canadian production company is based in Calgary, Alberta. Obsidian Energy’s oil fields are located in Alberta, along the Western Canadian Sedimentary Basin. This region is one of the world’s largest petroleum reserves. Obsidian’s oil production comes from three key areas in Alberta: the Alberta Viking, the Pembina Cardium and the Peace River Oil Sands. Once you make the decision to use Obsidian Energy, you are going to want to call them or email them about pricing. They are going to give you a flat rate for the fuels that they offer, which is something that is going to help you out and get you exactly what it is that you need for your own well-being. Be sure to consider this for yourself because it is a fuel company that puts the time and quality into each and every type of product that they offer to the public. This means that you are buying products that are higher quality than anything else that you might have used in the past. If you are a business owner who is trying to find high-quality fuel at an affordable rate, it is time for you to think about choosing Obsidian Energy. Obsidian is one of Canada’s leading fuel oil companies, so you can feel confident knowing that you’re choosing a company that truly cares about the product that they are producing. With Obsidian Energy, they have several different fuels available, both oil and gas. You can order any one of these fuels and have them delivered to your home or place of business. If you are planning to re-sell the fuel, you can do this knowing that you are still going to make a profit. The problem that a lot of people have when it comes to finding a good fuel company is that they don’t know where to look for the right choice. Obsidian Energy has been around for over a decade and is one of the best choices for fuel oils. Not only are their prices quite low, but you are going to find that their fuel is a lot better quality than anything else that you might have found in the past. Be sure to look at the Obsidian Energy site to see if this is something that you can benefit from. Obsidian Energy can be contacted either by phone or email, so you can feel good knowing that this is an option that is right for you. Be sure to contact them if you would like to begin placing an order for yourself or if you want to be able to get the right type of options for yourself. Never before has there been a great option than Obsidian Energy, and this is why a lot of people have made the decision that this is something they are going to want to make use of for themselves. Be sure to contact Obsidian Energy if you would like to place an order or find out more information on the different fuel oils that they have available and the prices that are related to what you are going to buy. Find Additional Information Here. After graduating from college Matthew Autterson found his first professional job in the financial industry. He was hired by Resource Trust company which at the time was a newly state-chartered trust company in Colorado. He started at this company in 1982 and just four years later he was named the president. He led this company until May 2001 when he departed for other opportunities. When he left this trust had over 200,000 customers and it worked with over 15,000 independent broker-dealers. After leaving Resource Trust Company, Matthew Autterson took up a leadership position at GL3B Partners Limited, LLP where he remains as the managing partner. His company invests in assets like privately held businesses, real estate, and securities. In July 2013 he was also named as the president and chief executive officer of a newly formed Englewood-based company called CNS Biosciences, Inc. This company, established by Dr. Scott Falci, is dedicated to researching and developing neuropathic pain drug therapies. Their focus in on both the early-stage of drug discoveries and clinical-stage. In many ways Matthew Autterson has been a philanthropist for much of his career. Beginning towards the end of 2013 he became a board member for Falci Adaptive Biosystems, a nonprofit also started by Dr. Scott Falci. This outfit is dedicated to helping those with neuromotor disabilities gain control of their environment by being able to interact with it. In order to promote this organization, they created the Falci Adaptive Motorsports program which is also meant to be inspiring for those who have been confined to a wheelchair. Matthew Autterson had also done quite a bit to benefit the Denver Zoo, starting to support this nonprofit in 2000. One time Matthew Autterson sponsored a fundraiser, for instance, and was able to raise $600,000. This was an event that he had named, “The Do at the Zoo” and it had 2,500 guests in attendance. The money was used to put in place a children’s carousel at the zoo. The carousel, the only one of its kind in the region, has wooden replicas of endangered species that have been carved by hand. Another charity that he was a long-term supporter of was The Denver Hospice organization. He was on their board for 15 years. This is a nonprofit that helps those who need assisted living support such as elderly people in their own homes, those living in group homes, and other arrangements. Born in Detroit, Michigan, Matthew Autterson is CEO and President of CNS Bioscience. He now resides in Cherry Hills Village, Colorado. Founded in 2013, CNS Bioscience is a clinical drug development firm with the point of convergence on neuropathic pain. Autterson began his journey at First Trust Corporation, which is a subsidiary of Fiserve. Together with a small team of associates, in 1980 he established a new trust company as a subsidiary of the New York based institution Integrated Resources Inc., where he was elected president in 1986. Autterson sits on the Director’s Board at Falci Adaptive Biosystems, which is a nonprofit firm mainly specializing in assisting individuals that have neuromotor disabilities. They persist to strengthen their capability to efficiently interact through close partnerships with leading medical institutions, engineers and technologies for rehabilitation systems. Matthew Autterson is also a prominent business leader in Colorado. Autterson philanthropic interest is in Falci Adaptive Biosystems which came into fruition after serving on the Denver Zoo Board and Zoological Foundation. He is also a board member at the Youth Presidents Organization and is Chairman of the Board at Denver Hospice. He is additionally a managing partner at GL3B Partners, which is an investment firm in Cherry Hills Village. His success has earned him over 25 years of experience in the finance industry. One of the companies led by Matthew Autterson was recognized as being the only chartered financial firm in the country. He has fully utilized his skills in the transformation of FAB. Managed by a team of 10 experts, the business has reformed the health issues of those suffering with neuromotor disabilities. Patients have been assisted to successfully mesh with their environment. Read This Article for more information. Matthew Autterson gained a lot of his financial perspicacity from early education achievements. He earned a Bachelor of Arts in Finance from Michigan State University in 1980 and went on to the University of Denver completing their Graduate Tax Program and also earned an accounting degree from Buena Vista University. Autterson’s partnership at Winterscheidt & Autterson is certified public accounting firm which assists Denver based companies in the engineering, accounting, research and management fields. What does a company do when there is a crisis afoot? Well, some react terribly and only make the situation even worse. Those companies tend to end up in bankruptcy, and everyone who works for them or counts on them in any way is left out in the rain. Fortunately, this is not the route that the old Penn West decided to take. The company has actually decided to rebrand itself as Obsidian Energy. The Board of Directors thought that it would be a good idea to have a new name to reflect the new nature of what used to be called Penn West. They wanted something that would show the world that they really were taking steps in a new direction. The Board turned over the decision to rename the company to shareholders. The vote by shareholders was not even a close one. Ninety-two percent of shareholders voted in favor of the name change, and so now you have the new Obsidian Energy company. Other actions have made it possible to see how this company will adapt to the future. They made the choice to sell off a number of assets for example to help lower the high levels of debt that they had been carrying around with them for some time. They were able to reduce the level of debt they had from $3 billion to $384 million. This has helped to keep the company in a position where it can continue to grow and innovative when it has the chance to. Given all of this, it is pretty obvious at this point that the people in charge of the new Obsidian Energy have made some smart moves to help keep the company alive and moving forward. That is something that we can all appreciate, at least those of us who have any dealings with Obsidian Energy.